A member of Washington University engineering professor Rajan Chakrabarty's laboratory lights up forest material in a combustion chamber. Recent studies have indicated that wildfires such as the ones that have raged in the western United States could have a cooling effect on our climate. But early findings by engineers at Washington University suggest that wildfire smoke could have a warming effect on the atmosphere. Using material from forests in the west, Wash U scientists have been recreating wildfires in the laboratory to understand the effects such events have on climate and public health. Research predicts that wildfires could occur more frequently and for longer periods of time. A 2012 study suggests that the area burned by wildfires in the United States could double by 2050. 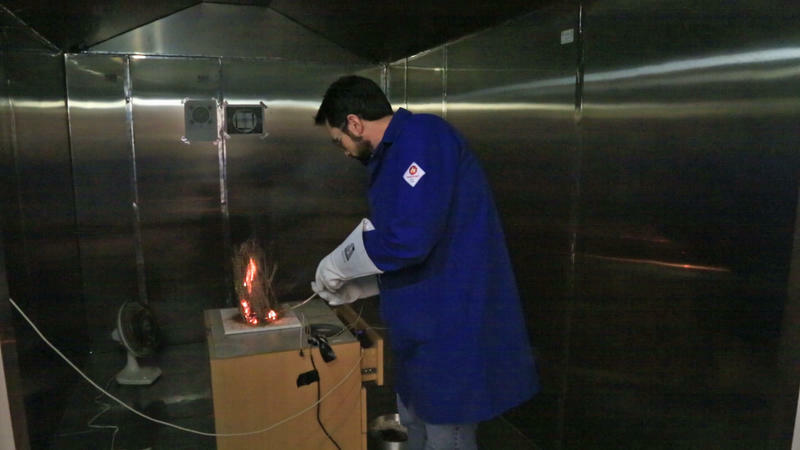 In professor Rajan Chakrabarty's laboratory at Wash U, scientists burned wildfires continuously for 45 days in a combustion chamber, starting in August. They collected data on the smoke particles to understand how wildfire smoke becomes processed in the atmosphere. When a fire starts, it first enters what Chakrabarty defined as the "flaming" phase, when it's jumpy and emitting black smoke. It then transitions into a second "smoldering" phase, when the temperature cools slightly and the fire emits white smoke. Chakrabarty said that the effects of the smoldering phase in wildfires is not well studied, but it's crucial to understanding wildfires' impacts on our environment. "Smoldering can last up to months, as has been shown in fires in Alaska and the Arctic," he said. Members of his laboratory are crunching the data, with potential plans to release papers starting at the end of the year. But so far, he has found one preliminary finding rather surprising. 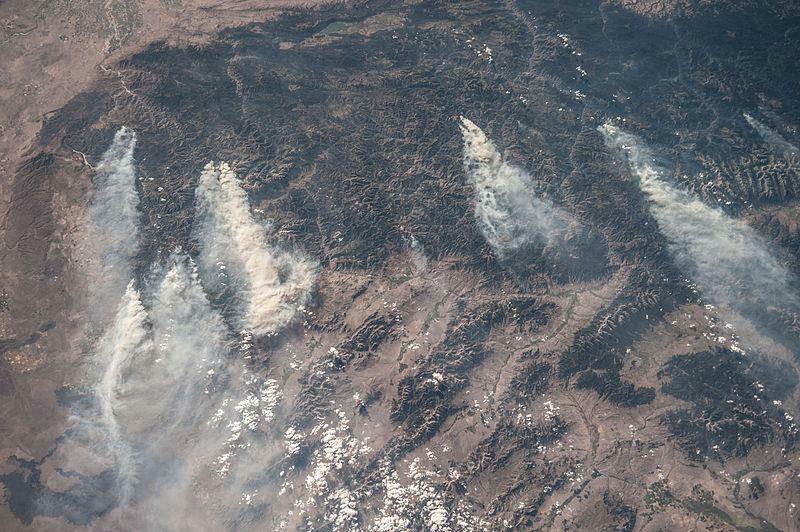 "The conventional view has been that this whitish looking smoke could cause a cooling effect," he said, "but what we are finding is these smoke particles could also have a warming effect." The effect long-term exposure to wildfire smoke has on people also is not well understood. The data Wash U researchers have collected could shed light on it. "Health specialists can take this information and create a study of what could be the impacts of these different pollutant burdens on human health," Chakrabarty said. The study was conducted in collaboration with the Missoula Fire Sciences Laboratory, which provided the forest materials. A new report released today by the Natural Resources Defense Council warns that smoke from wildfires poses health risks to people living far from the actual blaze. The study used data from 2011, an especially bad year for wildfires in the US, to rank states with the greatest number of residents affected by wildfire smoke for longer than a week. Illinois and Missouri were ranked second and fourth respectively, despite having no wildfires of their own.